This week, American and Ukrainian pilots began a joint observation flight over Russian territory under the Treaty on Open Skies. Speaking to one of Russia's leading independent online news and analysis portals, military analyst Yuri Kotov explained what Russia stands to gain by adhering to the treaty. 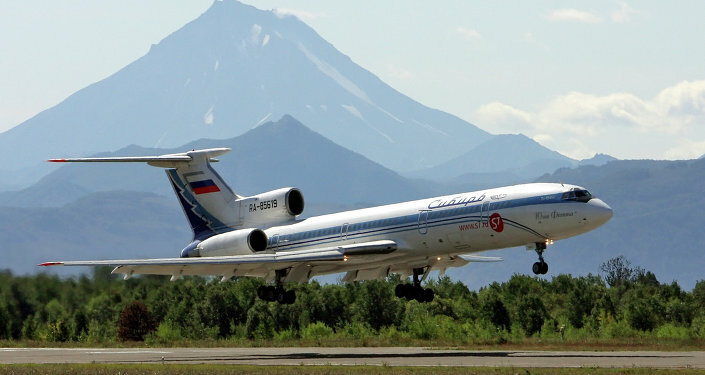 The specially-equipped observation planes, neither fitted with onboard weaponry, have passed the necessary certification according to the 1992 treaty. Russian specialists will be present onboard the American plane, with German specialists onboard the Russian aircraft. This setup is aimed at ensuring strict control over the use of surveillance equipment, Kotov explained. The Treaty on Open Skies was signed in March 1992, becoming one of the major confidence-building measures in Europe following the Cold War. Entering into force on January 1, 2002, the treaty is observed by 34 states, including Russia and most members of the North Atlantic Alliance. A Boeing OC-135B Open Skies aircraft - the type used in this week's US-Ukrainian overflight over Russia. Commenting on the news, Svobodnaya Pressa columnist Svetlana Gomzikova recalled that "the purpose of this treaty, formally, is virtuous, and aimed at strengthening mutual understanding and trust between countries. Above all, it allows countries to track the movement of troops, to openly gather information on armed forces on the territory of the treaty countries." "But do we need such openness today?" the journalist asked. "There were many declarations made in the 1990s, including a promise by NATO that the alliance would not advance one inch to the East [past Germany]. And where is NATO now? On our borders." In this light, the journalist asked, "what kind of open skies can we speak of given these conditions? Is it time perhaps to withdraw from the treaty?" According to the expert, Russia has little to gain from withdrawing from the treaty and, on the contrary, its role in assuring effective monitoring of the NATO countries' militaries makes the treaty "simply vital." "Withdrawing from the treaty generally offers little benefit; today reconnaissance satellites allow for successful monitoring of the movement of troops. Planes make it easier; their lower altitude allows for more detailed observation. With help of planes, it's possible to clarify data received from space surveillance. In other words, it's possible to see what can be concealed more thoroughly from satellites." On the other hand, Knutov also emphasized that "it's still impossible to hide a mass movement of troops from satellite reconnaissance." What's more, the analyst explained that for Moscow, participation in the Treaty on Open Skies is necessary more from the perspective of international law, not the treaty's military implications. On every major international issue, Knutov noted, "Moscow is fighting for the preservation and precedency of international law. We prove that the Americans, in invading Iraq, violated international law; that France and its allies, having bombed Libya, trampled international law; that when Yugoslavia was destroyed, international law too was violated." From this perspective, the expert suggested, "a withdrawal from the treaty would be akin to violating the requirements of international law, and this is unacceptable. We must on the contrary do everything in our power to ensure that all agreements are adhered to. Only in this way will it be possible to ensure international stability." Effectively, Knutov noted, "when these flights are carried out, it's a good thing. It was a bad thing when Turkey, for example, prohibits us from doing so." In February, at the height of Russian-Turkish tensions, Ankara refused to grant Moscow permission for an observation flight over the Turkish-Syrian border, a direct violation of the treaty. 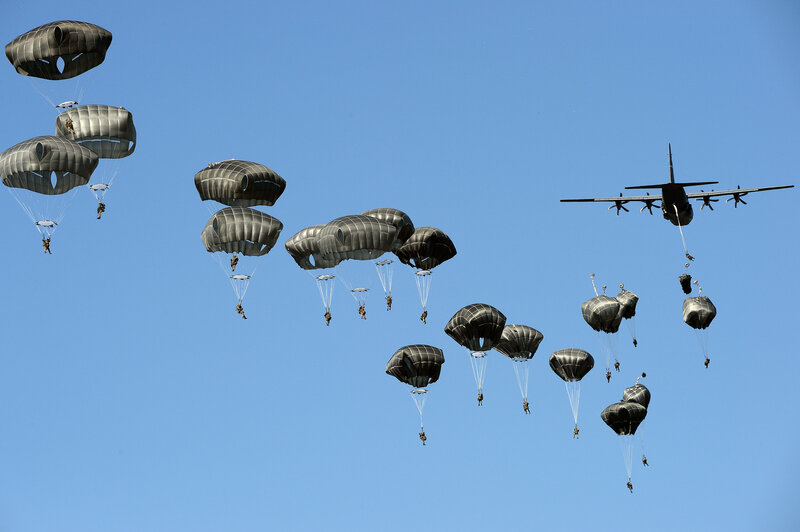 At the same time, Knutov recalled, US Defense Secretary Ash Carter issued a directive recently on the creation of a 40,000-strong rapid deployment force, capable of deploying anywhere in Europe within 48 hours. "Now imagine these 40,000 troops being moved to those areas where military equipment has already been deployed," the expert commented. "In reality, after the decisions made at the Warsaw Summit are implemented, our borders will see the deployment of 150,000 NATO troops, not four battalions," the analyst emphasized. "Together with the Polish army, they will be able to capture Kaliningrad within several days…Therefore, observation flights will allow us to keep track of several things. In addition to satellites, our aircraft will help to see where this NATO infrastructure is being built up, where and what is being built. This is very important for us." Ultimately, Knutov noted, so long as Russian observers do not face any limitations regarding which countries they fly to, and which flight paths they allowed to observe, it will remain beneficial for Russia to observe the treaty. Asked whether Ukraine, which has repeatedly made outlandish claims about Russian troops fighting in the country's war-torn region of Donbass, will finally be made to feel at ease following the joint US-Ukrainian flight, the analyst said it was doubtful, since Kiev's rhetoric has always been made with political purposes in mind. "Kiev understands the situation perfectly well. There are thirty thousand Russian soldiers along our western borders, from Arkhangelsk in the north to Crimea in the south. On the Ukrainian side, there are 150,000. Is there a difference? In other words, we cannot threaten anyone with these troop levels. The Americans and NATO know these numbers, and so do Ukraine's leaders. Meanwhile, what they say in relation to Russia is a shameless lie – designed to get certain preferences from NATO – to get weapons and unleash a war with Russia."